Here are a few quotes from some of my recent clients. I thank you all for your kind words. "Just a very quick email to let you know that both Jon and I had an amazing day on the River Wye with Kim yesterday." 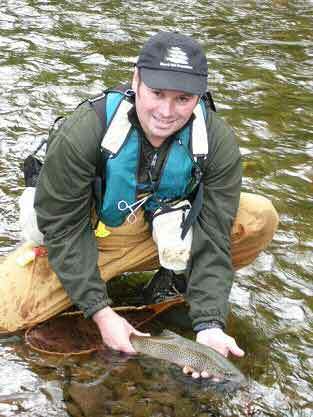 " I'm writing you to thank you again for the wonderful fishing holidays on Wye and Usk rivers. 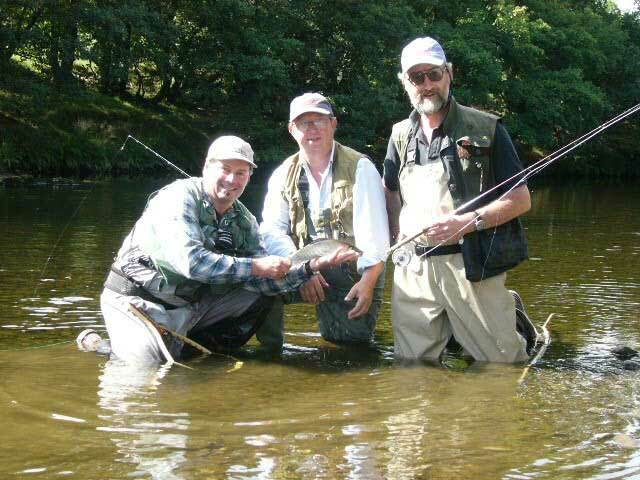 We really appreciated your relaxed approach to fly fishing, your advice and we will treasure your teachings!!!! Catching that grayling (42 cm!) was pure adrenaline!" I spent two great days with Kim in October 2005 at a time when conditions were dreadful. As I drove across from Birmingham on the morning of our first day, I crossed several angry looking rivers and wondered what on earth we could possibly expect to achieve. I was wrong to be so pessimistic. With the rain still falling, Kim took me to a stretch of water that was remarkably fishable and on a most enjoyable day I took many fish. His passion for the sport is boundless and this gave confidence to an angler like me who was relatively new to the fly sport. 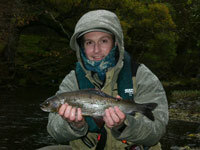 On the second day, conditions deteriorated further and yet despite this we caught fish. 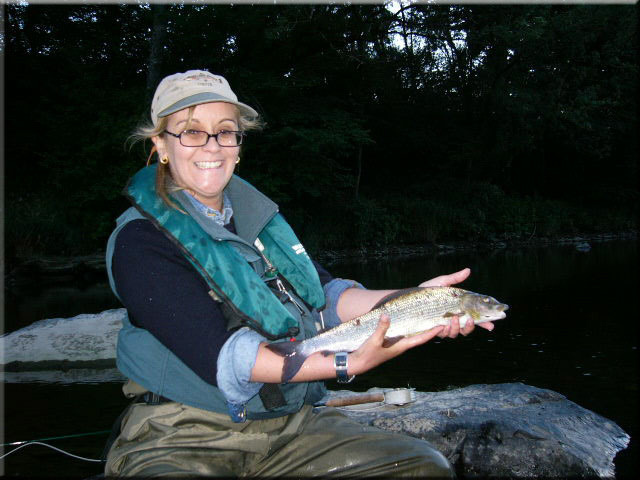 When fishing in driving rain and a harsh cross wind, Kim set up a rod with a hybrid of Czech nymphing and distance nymphing and this produced a beautiful Grayling of over 2lbs.